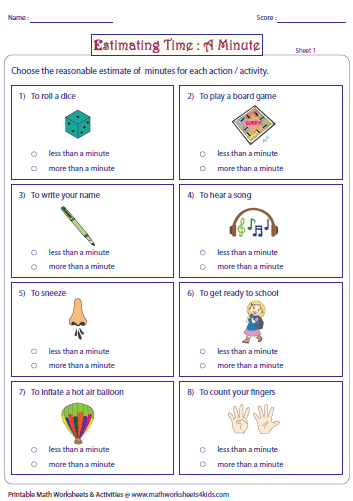 Time estimation worksheets contain skills based on choosing the reasonable estimate of time for an activity or task. 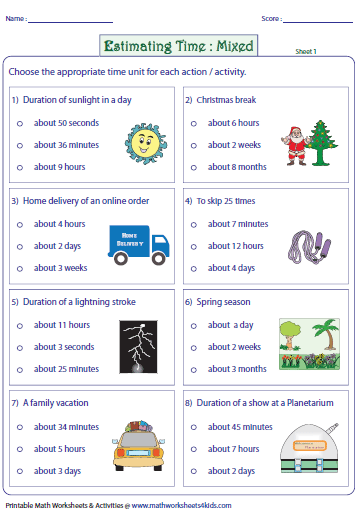 Activities which take few seconds, minutes, hours, days and months are shown here with interesting real life images. A better understanding of time concepts is obtained by practicing these sheets. 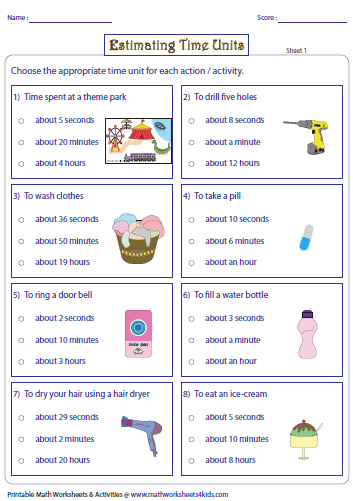 Estimating time worksheets show different activities. 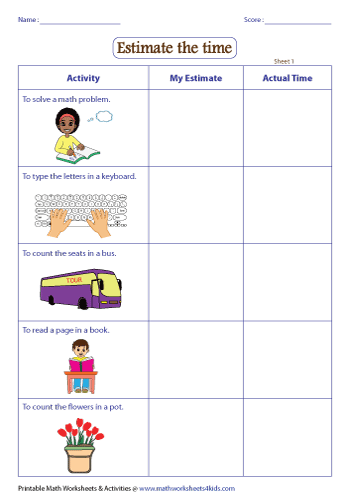 Estimate the time unit for each activity. The duration of the activity can be seconds, minutes or hours. Estimate the time for each activity and select the appropriate choice. The choices are in seconds, minutes and hours. 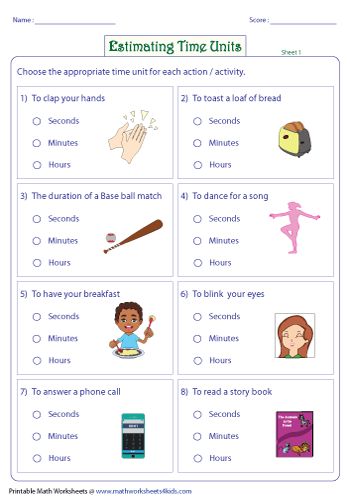 Activities which can be done within a minute and over a minute are shown. 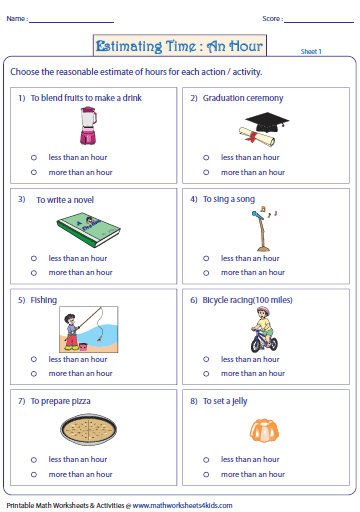 Choose the reasonable estimate of time in these worksheets. The activities which can be completed before an hour and beyond an hour are depicted. Estimate the time duration for each activity and check mark against the correct estimate. Choose the appropriate time of each activity from the given multiple choices. The period of the actions can be in seconds, minutes, hours, days, weeks or months. For the given activity, first write down the estimated time. Then perform the activity and record the time. Tabulate your result. Activity template is included to create your own activity chart.